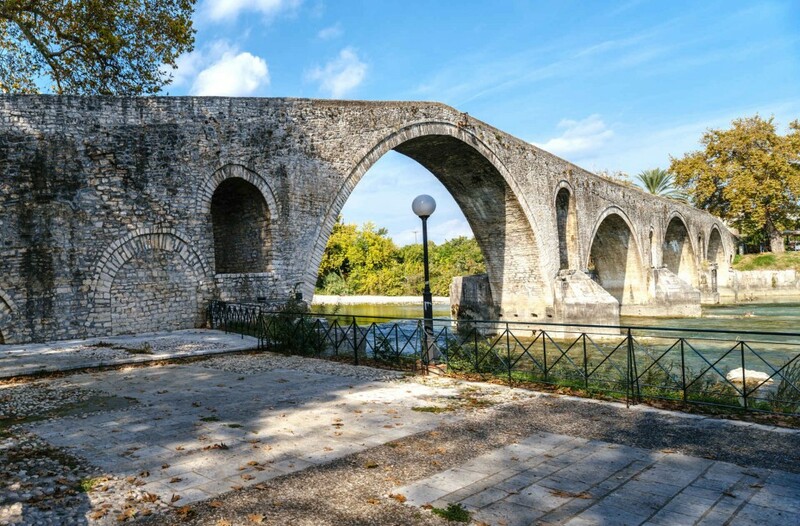 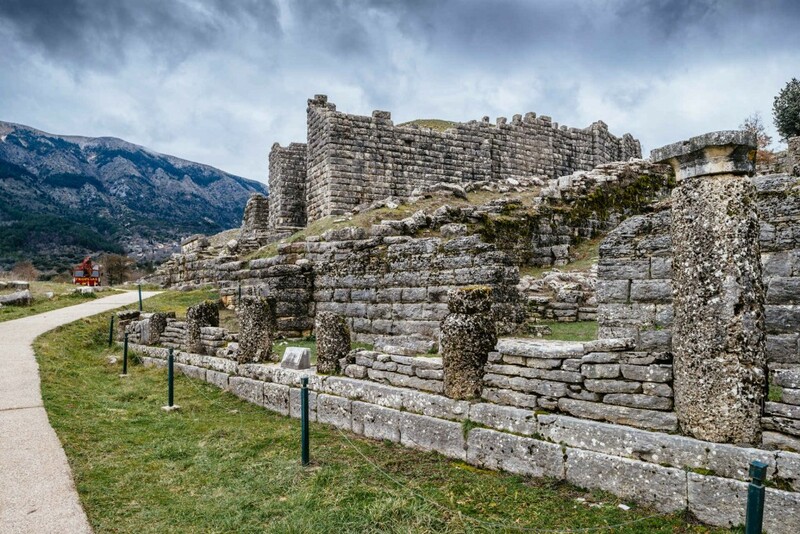 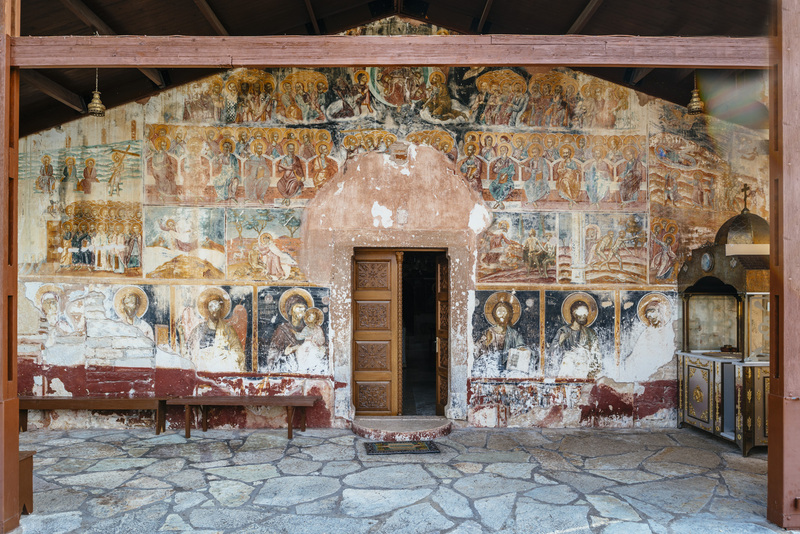 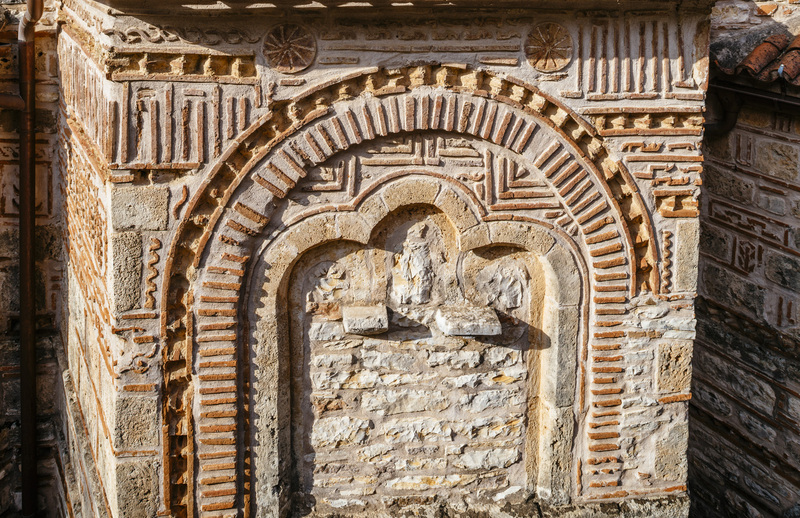 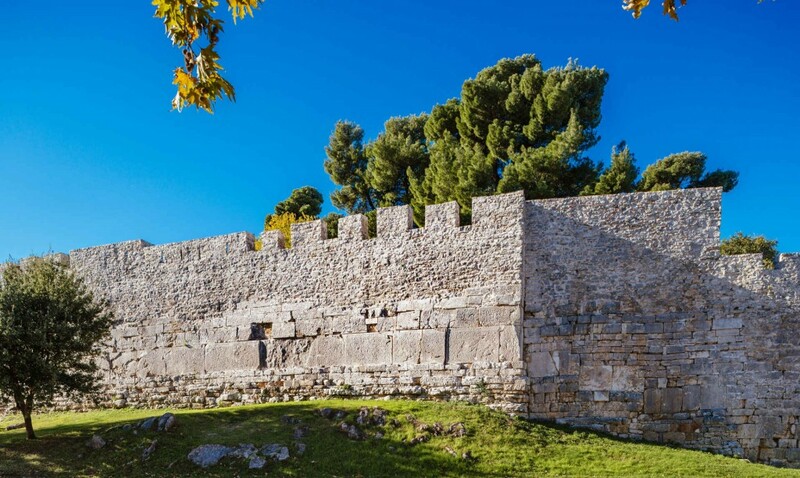 The monastery was built in the 13th century by Michael Doukas Komnenos, Despot of Epirus. 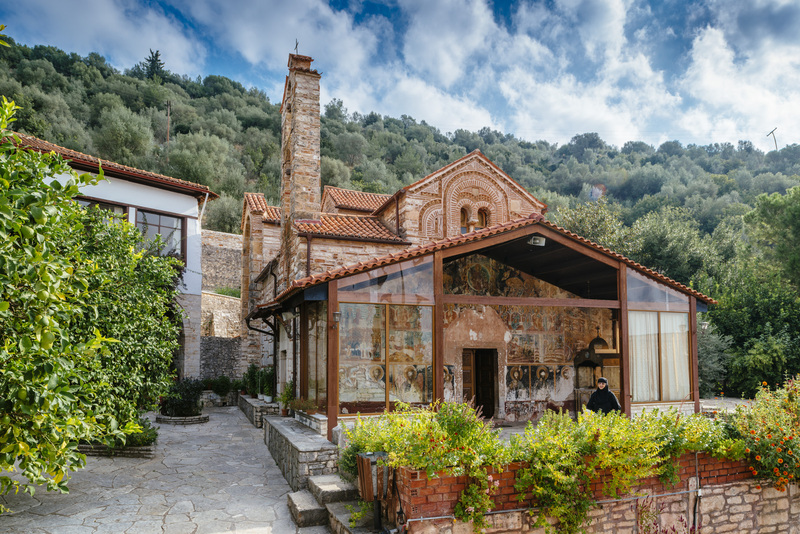 Today the monastery is kept alive thanks to the constant care of the nuns who live there. 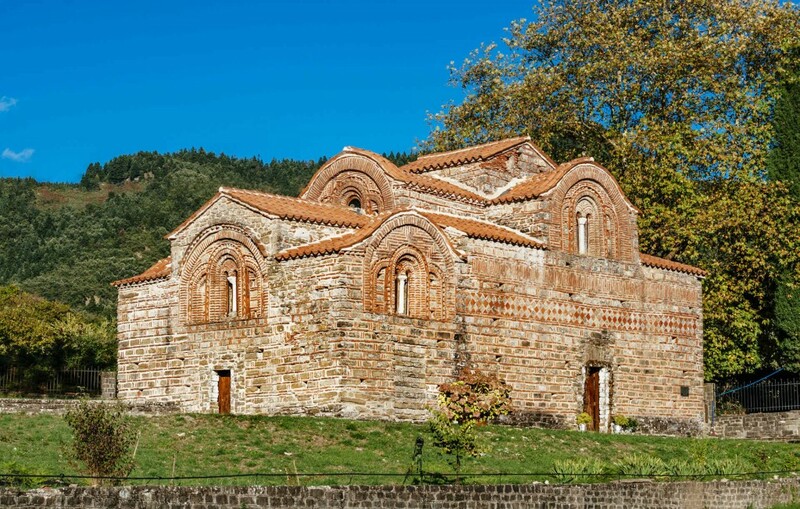 This great monument, built in a beautiful location, with a history and tradition that go beyond the normal boundaries of a monastery. 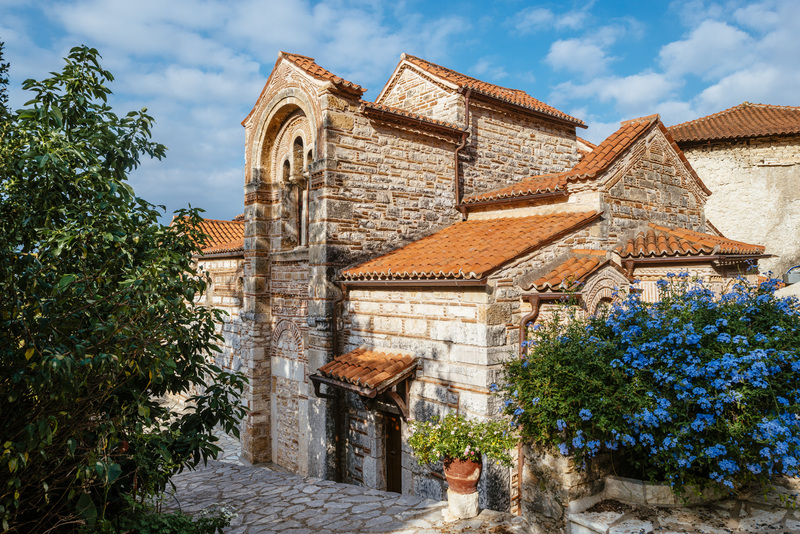 It is currently an active convent for nuns and retains its initial splendor on the outside and its old mystic ambience in the inside. 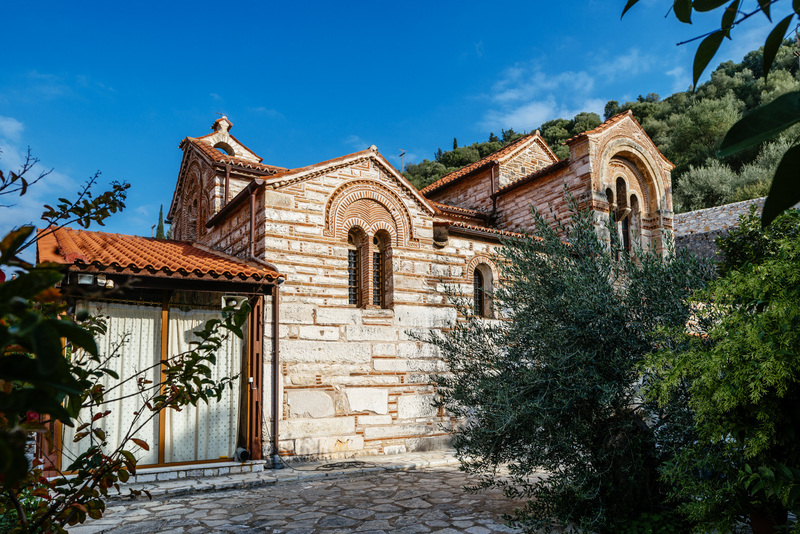 The church is dedicated to the Nativity of the Theotokos and it was named “Kato Panagia” in contradistinction to the big “cathedral” of Byzantine Arta, Panagia Parigoritissa. 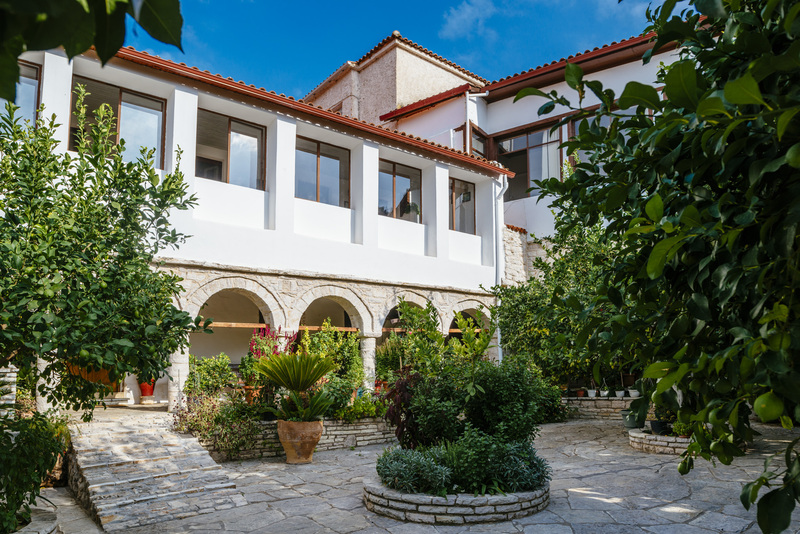 The internal orchard, which is the amazing “dressing” of the yard with lemon and orange trees, as well as flower beds and gardens, make the room a real “Garden of Panagia” and compensate visitors “treating” them with scents and a feeling of jubilation.